Spray with 3 Stems of 3 Ivory 10mm Pearls - Packet of 6 Sprays (Ref 62355). 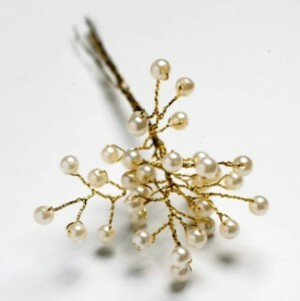 Spray with 6 Stems of 6 Ivory 6mm Pearls - Packet of 5 Sprays (Ref 62351). Spray with 6 Stems of 5 Ivory 4mm Pearls - Packet of 6 Sprays (Ref 62347).